As you may know, we love Katrina Kenison. Her inspirational words have carried us through some of the hardest days. 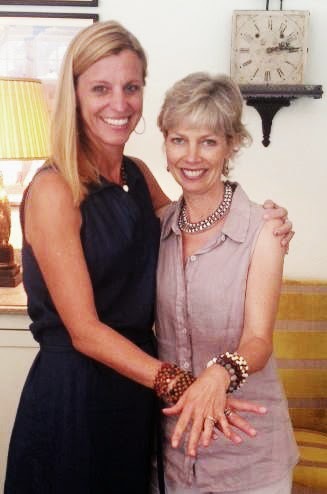 Corinne had the opportunity to meet Katrina a few weeks ago, and together they were rockin' their Healing Knots! "Not a day goes by that I don't still need to remind myself that my life is not just what's handed to me, nor is it my list of obligations, my accomplishments or failures, or what my family is up to, but rather it is what I choose, day in and day out, to make of it all. When I am able simply to be with things as they are, able to accept the day's challenges without judging, reaching, or wishing for something else, I feel as if I am receiving the privilege, coming a step closer to being myself. It's when I get lost in the day's details, or so caught up in the worries about what might be, that I miss the beauty of what is."